Charles fixed some great fried pork chops for dinner tonight. 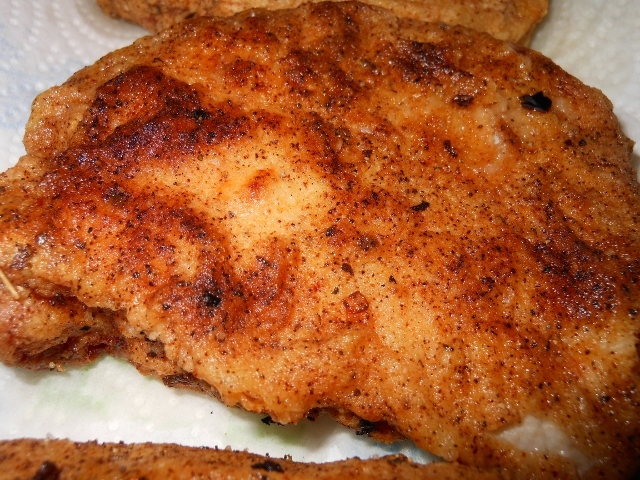 I think the key to great fried pork or fried chicken for that matter is a flavorful flour. He spiced it up a bit and got a great combination to keep them flavorful. 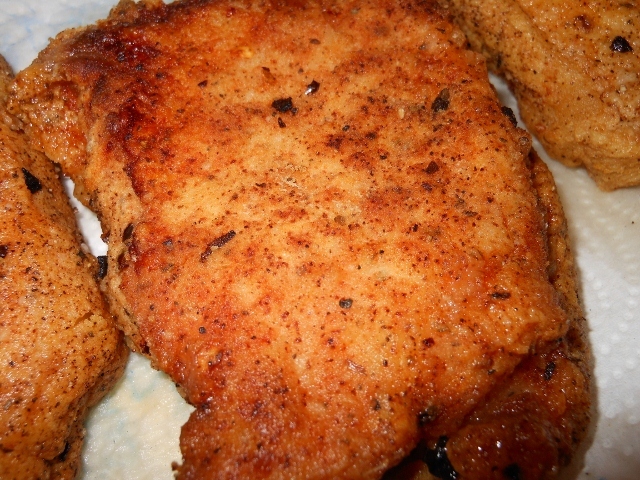 and of course Pork Chops or Chicken ~ something to fry! Toss together all ingredients (except of course the meat) in bowl or plastic bag; dip pork chops into flour mixture and toss until coated. Heat oil in large skillet over medium heat; add chops and cook until desired doneness. He used about 1/2 inch of oil in the pan for chops that were 3/4 inch thick. Cook for 5 – 8 minutes each side or until cooked through. This entry was posted in Entrees, Recipes and tagged chicken, crushed red pepper, flour, flour mixture, food, fried, fried pork chops, pork, pork chop, recipe, recipes, seasoned flour, seasoning. Bookmark the permalink.